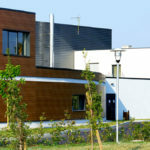 The successful design of a house not only requires aesthetics and comfort, but also the implementation of environmentally friendly practices and the achievement of energy savings. 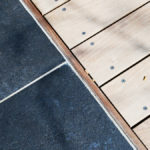 Through the use of natural materials such as wood, the use of green technologies or the implementation of clean building methods, ecology is at the heart of the modern house and is a part of a global reflection, often accompanied by economies of material and financial means. It is essential to design a house taking into account the climate and the environment of,as well as the orientation of the terrain with respect to the movements of the sun throughout the year, landscape and winds. To succeed, the architect will adapt the structure of the home, different rooms and volumes to limit the exposure to the weather. 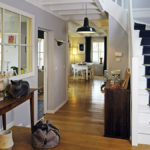 A good consideration of the environmental characteristics of a terrain will not only improve the comfort of a house by maximizing the natural light and openings on the views, but also to save energy with adequate heating systems and carefully thought insulation, and ultimately reduce the environmental impact of the house. Of course, the choice of the land lot and the dialogue with the architect will be paramount to ensure that the architecture of the house answers to its inhabitants’ way of life, that it is well-integrated in its environment, while also respecting financial constraints of the owner. A thermal bridge is a point in a house where the articulation between different walls or materials breaks the insulation and thus allows undesired heat exchanges. The reduction of the energy consumption of a house necessarily passes through the realization of a good thermal insulation. It is therefore imperative to take into account the various heat loss elements and, in particular, the ones that generate the most important losses. Depending on countries and climate, insulation against the cold or against the heat will be more or less important. Instead of extra insulation added to weak thermal energy elements as was the case before, modern insulation fits directly into the house. 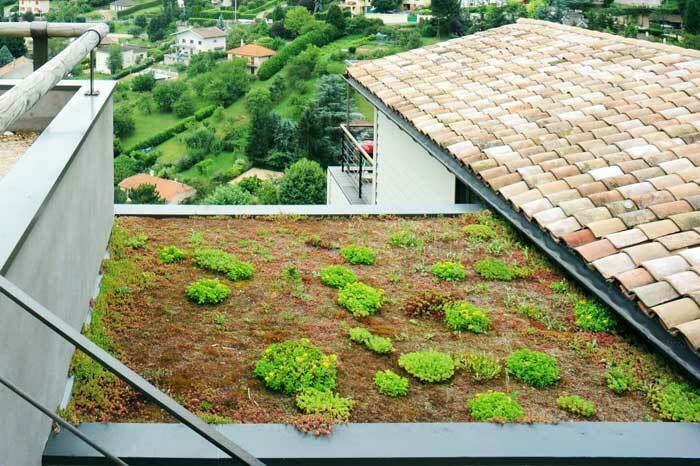 For example, green roofs are increasingly used because, in addition to its aesthetic appeal, they provide good roof insulation performance against the winter cold and the summer heat, and they can also be used for the filtration and recovery of rainwater. With the thermal inertia of the walls, and energy losses through ventilation, the need to maintain a constant temperature and the hygrometric regulation of the different rooms are different parameters to be taken into account during the design of the insulation. The design of the house in its environment, the use of naturally insulating building materials, devices such as heat pumps or double glazing are all best sustainable architecture practices that lead to excellent overall performance of the system. Some construction materials involve the presence in a house of various harmful elements used in their preparation, treatment, or their daily use. 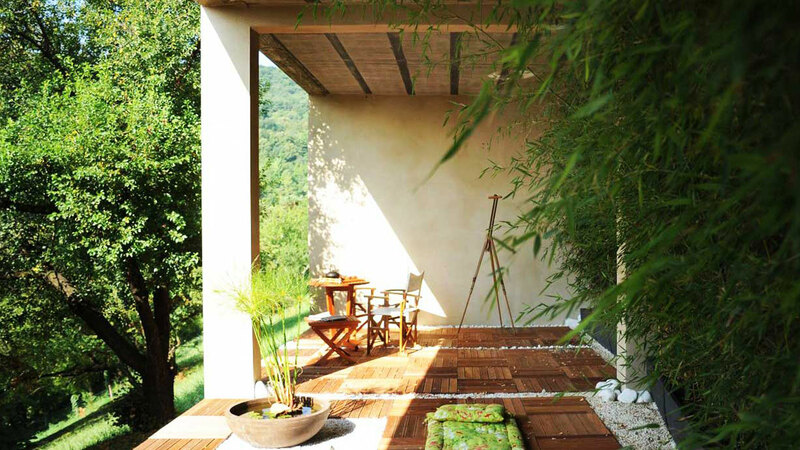 In order to avoid materials that contain harmful substances, construction with natural materials such as wood or products of vegetal origin (straw, hemp, insulation such as linen wool or other vegetal wools) creates both durable structures while also enhancing healthy, aesthetic and warm spaces. 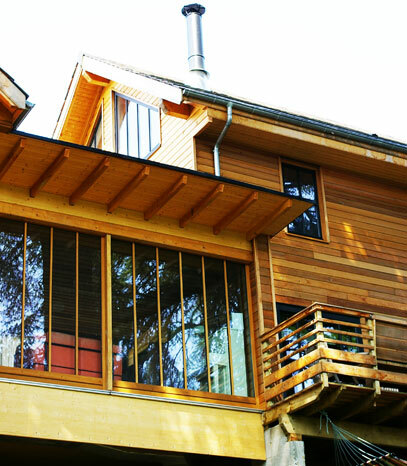 Moreover, these natural materials, in particular wood, naturally provide good insulation performances, eliminate thermal bridges at a lower cost and thus also make it possible to achieve long-term energy savings and even natural air conditioning. The same applies to certain materials from the agricultural sector (animal wool, feathers, etc. ), abundant mineral products (soil or stone) or recycled materials such as cellulose, which offers excellent thermal properties. The selection of materials in local production near the construction site also reduces pollutant emissions from transport while supporting the local economy. Imported natural materials will have a stronger impact than less environmentally friendly materials produced locally. The ecological balance of the construction, taking into account not only the environmental impact at the origin during the production of the materials but also their transport, assembly and decomposition, makes it possible to evaluate the total weight of the construction of a house on the environment. 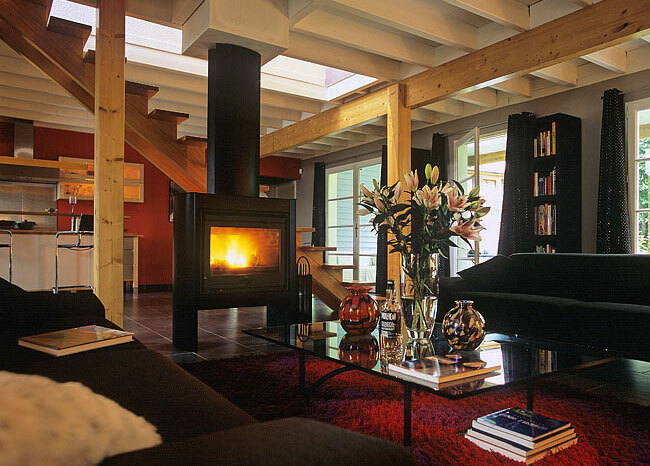 Establishing energy production methods that limit the use of fossil fuels, particularly for heating, is a central element in the ecological design of a home. 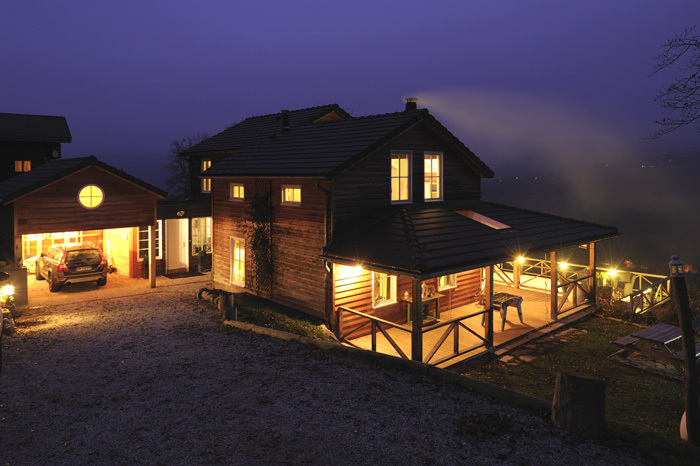 The use of wood or biomass heating (plants, biofuels, etc. 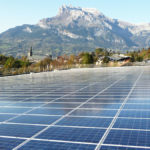 ), geothermal energy, solar panels are all ways of producing clean energy and reducing the carbon footprint of a house, electricity or gas bills and eventually take advantage of local productions. Other equipment can also provide significant benefits: various heat pump systems which recover heat from air or water also provide significant energy savings to reduce electricity bills and realize a low consumption house, or passive house. Double glazing and massive shutters offer excellent protection against the cold and noises. Rainwater collecting systems or dry toilets are also good ways to save water. 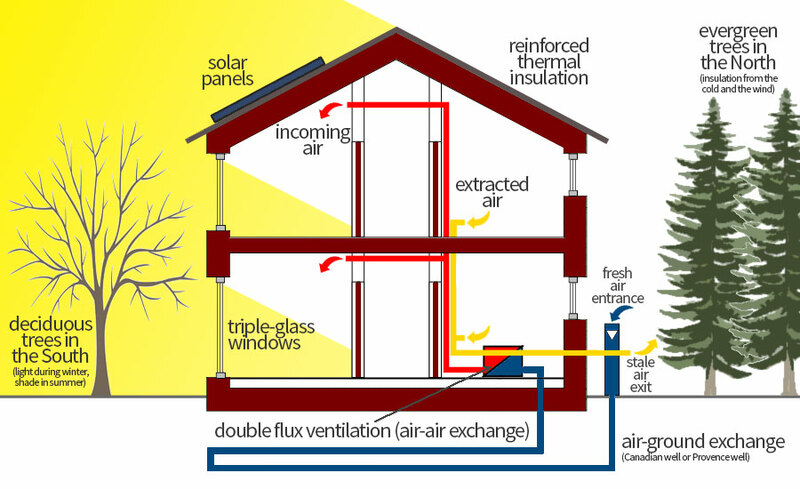 The term “bioclimatic” is used to describe a house with very low energy consumption, because of its rigorous design allowing it to take advantage of its environment, climate, orientation, topography and heated by systems based on renewable energy, such as wood or biomass heaters, geothermal energy, solar panels, Canadian well, etc. Close attention must also be paid to the limitation of carbon dioxide releases, so heating without combustion is preferred. 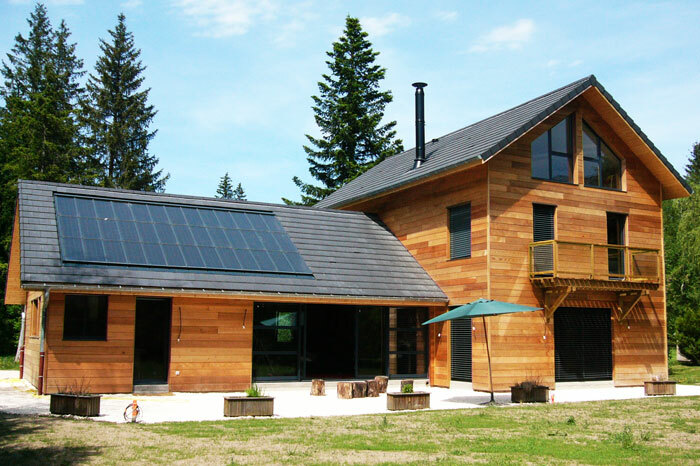 A house can be called a passive house, also called Passivhaus, when it has a total consumption of energy (heating, hot water, sanitary fittings and electrical equipment) of less than 120 kwh / m3 / year, which roughly equals 3.4 kwh / cubic foot / year. Depending on the country, ecological houses can receive ecological certification, which confirm their energetic performances and increase the value of the house.